A global study of 216 exchange platforms showed that 69 percent of exchanges do not have complete and transparent “know your customer” (KYC) procedures. 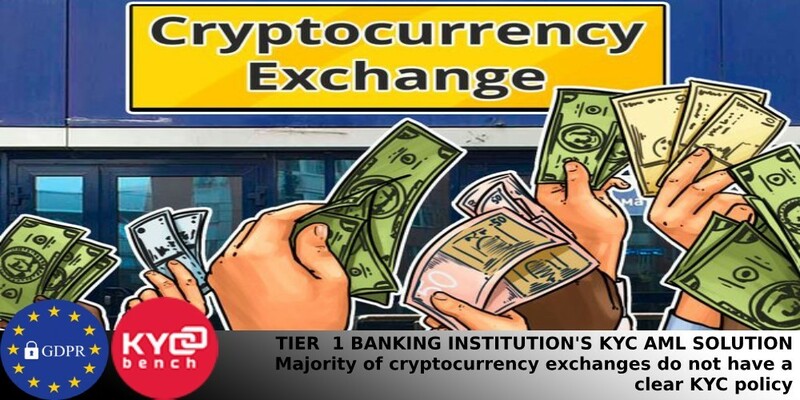 The study also showed that only 26 percent of exchanges have a “high” level of anti-money laundering in place, such as ongoing transaction monitoring and internal staff with experience in AML processes. To some, anonymity seems to be a feature of a cryptocurrency market, but this can lead to problematic business practices and criminal or terrorist activities. For example, another recent study, Bitwise Asset Management, argued that almost 95 percent of Bitcoin trading was in fact artificial, often involving automatic bots or distorted statistics of unregulated exchanges. Coinfirm CEO Pavel Kuskowski said that for many such platforms only crypto wallet address is required. Coinfirm also found that some exchanges could not fully implement official policies on their websites. For example, Binance users from countries with limited access supposedly were able to use the platform, simply using a virtual private network (VPN) to confuse their location. The Coinfirm report identified Binance as having a high regulatory risk based on the effects of anonymous activity, since deposits and withdrawals for values below two bitcoins (less than $ 8,000) were reportedly not required any KYC as of February 2019. Regardless of how the KYC policy is actually applied, it is clear that all companies should take steps to strengthen its compliance procedures. Partnership with KYCBench will definitely improve company’s existing data protection and compliance measures for global operations. It is one major reason for me personally to go for a trading broker. It means, I don’t have to worry too much especially if the broker is of this quality and calibre https://fx-list.com/broker/finmax, as then you just leave your concerns at home. Finmax is a highly reputed company which can be checked via all major review sites like FX-List, and then also comparing to exactly know which broker is the best for you, because that’s how you eventually get towards achieving success.